Greenville, S.C. (January 10, 2019): The Center for Developmental Services (CDS) recently earned the highest awarded rating from Charity Navigator for the fourth year in a row. The coveted 4-star rating shows an organization’s strong financial health and commitment to accountability and transparency with its donors. “Attaining a 4-star rating verifies that CDS exceeds industry standards and outperforms most charities in [its] area of work. 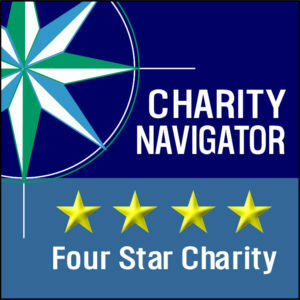 Only 16% of the charities we evaluated have received at least 3 consecutive 4-star evaluations, indicating that CDS outperforms most other charities in America. This exceptional designation from Charity Navigator sets CDS apart from its peers and demonstrates to the public its trustworthiness,” said Michael Thatcher, President & CEO of Charity Navigator. CDS is the largest multi-disciplinary treatment facility in the Upstate for children with disabilities and developmental delays. In one location, children receive services in therapy, diagnosis, legal help, day care needs for the medically fragile, and a family support network. The partnership is comprised of Clarity; Family Connection of SC; Medical-Legal Partnership; KidVentures of Thrive Upstate; and four programs of the Greenville Health System: Developmental-Behavioral Pediatrics, Kidnetics, The Wonder Center, and Prosthetics and Orthotics. CDS and its partners serve over 8,000 children and their families each year on property donated by the First Presbyterian Church at 29 North Academy Street in Greenville. For more information about CDS or its partners, visit www.cdservices.org.